If you are one of many people who have moderate to severe anxiety about scheduling your next dental appointment, sedation dentistry can give you the peace of mind to ensure you receive the treatment you need. An experienced sedation dentist like Drs. 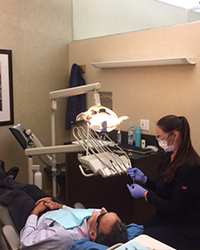 Stephen and Kimberly Dankworth understands your concerns and offers a variety of sedation dentistry options as well as many other comforts to help you maintain proper oral health care. Visiting a sedation dentist gives you the ability to overcome any obstacles you may face regarding your oral health care. You may have had a bad experience in the past with a dentist, or possibly remember an unpleasant office visit from your childhood. This can often cause fear and anxiety which is extremely difficult to overcome. Our office, located in Carslbad and convenient to Encinitas and San Marcos, CA, offers two types of sedation dentistry services including laughing gas and oral conscious sedation which are both safe and very effective. Here at La Costa Dental Excellence, we offer laughing gas and conscious sedation for “sleep dentistry“. Laughing gas can calm you, block pain, and you may not even remember what happened during your appointment. With our trusted and safe conscious sedation process, you will awake with little or no memory of your dental experience - yet obtain the benefits of a beautiful smile! Prior to your conscious sedation appointment, you will swallow a small pill provided by our sedation dentist. A friend or family member will drive you to our Carlsbad office as the conscious sedation sets in. By the time you arrive, you will be drowsy and comfortable. You will continue to relax in your treatment room with a warm blanket. 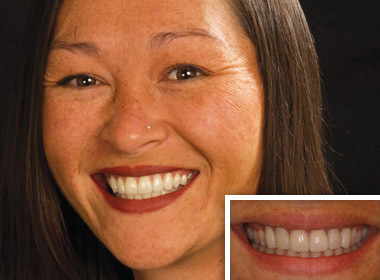 Your vital signs will be monitored as our highly trained and experienced clinical team will fulfill your dental needs. Regular Oral Health Care | Your oral health is very important and the latest advances in sedation dentistry make it easy for you to receive the necessary dental care you need for a healthy smile. Regular office visits will keep you looking and feeling great, while preventing any future oral health issues. Safety | Visiting an experienced sedation dentist is crucial to maintaining a beautiful smile. We offer safe sedation dentistry solutions, including conscious sedation, which has helped many patients who normally suffer from intense “dental phobia”. 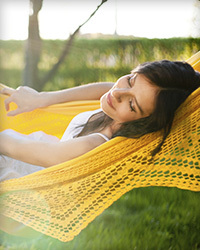 Peace of Mind | Overcoming your fears is easy once you understand the sedation dentistry options available. With regular office visits you can rest assured that you are receiving the care you need and that you’re taking the preventive measures necessary for a lifetime of good oral health. 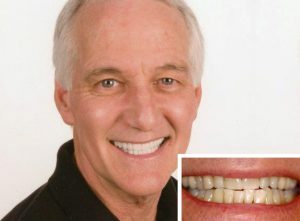 A Beautiful Healthy Smile | With so many sedation options available, you can say goodbye to whatever is holding you back from a stunning, healthy smile. Contact us today to find out more about our sedation dentistry services or to schedule your next visit! We are located in Carlsbad on the corner of Rancho Santa Fe Rd and La Costa Ave, convenient to neighboring communities including Encinitas and San Marcos, CA.